Shujauddaula, the son-in-law of Jafar Khan, resided in the province of Orissa, but was really an inhabitant of Burhanpur in the Deccan. He belonged to the “Afshas”, which is a class of Turks of Khorasan. During the stay of Aurangzeb in the Deccan, he married the daughter of Jafar Khan, the then Dewan of the province of Bengal, and accompanied him. With the political rise of Jafar Khan, Shujauddaula also rose, so much so that during the Vicelroyalty of Jafar Khan, Shujauddaula become Subedar of Orissa or a Deputy of Jafar Khan. The mother of Ali Verdi Khan Mahabat Jang belonged to the tribe of “Afshas” and was related to Shujauddaula. Mahabat Jang, together with his father and his brother Haji Ahmad, was in the service of the Emperor Azim Shah. After the death of Azim Shah, Ali Verdi Khan was reduced to straitened circumstances and lived a retired life. In the beginning of the reign of Mohammad Shah, Mirza Mohammad, the father of Mahabat Jang, presented himself before Shujauddaula and got into his service. Shujauddaula treated him well. Having heard this, Mahabat Jang proceeded from Shahjahanabad to Orissa in a most wretched condition and made his appearance before Shujauddaula and his father. Shujauddaula kept him also in his service. Mirza Mohammad Ali Mahabat Jang was a talented man. He soon ingratiated himself into the favour of Shujauddaula and rose a high position in his service. He then sent for his brother Haji Ahmad with his family and relatives. He remitted to them a decent amount for their travelling expenses, and they all travelled safe from Shahjahanabad to Orissa. Haji Ahmad also got into the service of Shujauddaula. The two brothers were men of great merit and their services to Shujauddaula conduced much to the stability of his government. By virture of his courage and judgment Mirza Mohammad Ali Mahabat Jang rose to a much higher position than his father, brother and other nobles of Shujauddaula’s court. Shujauddaula recommended him to the Emperor for a suitable post and the title of Mohammad Ali Verdi Khan. 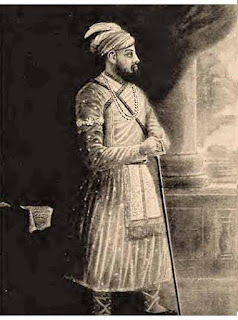 But Jafar Khan was displeased with Shujauddaula, and in view of his ill-health he was anxious that Alauddaula Sarfaraz Khan should succeed him in office. It was therefore that he asked His Majesty through his representatives to appoint Sarfaraz Khan who was then the Dewan of Bengal to act as the Viceroy of Bengal. Hearing this Shujauddaula consulted Mohammad Ali Verdi Khan and Haji Ahmad. With their advice he made a representation to the King, asking His Majesty to be pleased to confer upon him the Viceroyalty of Bengal and Orissa. He submitted this representation with a magnificent present. 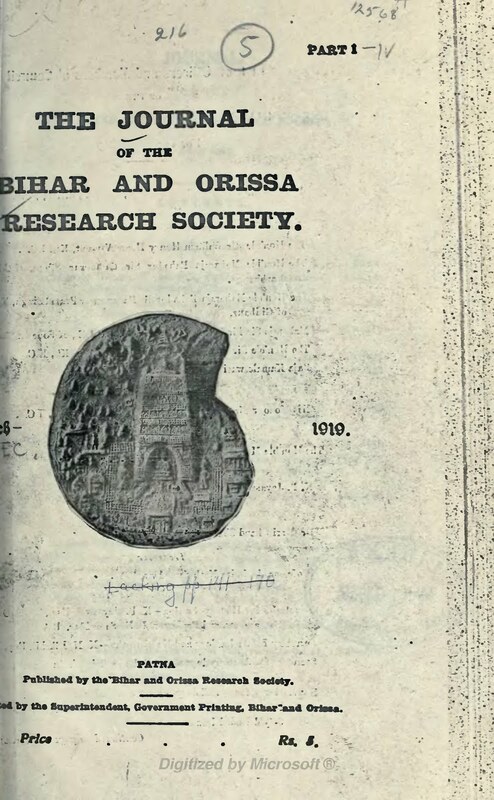 He then arranged for two daks, one from Orissa to Shahjahanabad for a reply from the King and the other from Orissa to Murshidabad with a view to get timely information of the health of Jafar Khan, who was suffering from a fatal disease. Ostensibly he dismissed some of his military officers and sent them to Murshidabad to remain in different places and await his arrival. He made extensive arrangements for boats, as the roads were then almost impassable on account of the rainy season, and anxiously waited for an opportunity till at last he received the intelligence of the despatch of the royal sanad, and of the approaching death of Jafar Khan, who it was said could not live for more than five or six days. 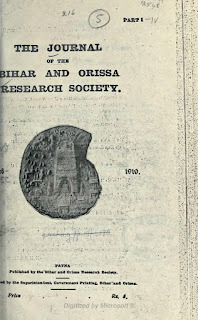 In Orissa he left Mohammad Taqi, his son by his second wife, to act for him as his deputy, and himself proceeded to Murshidabad with Mohammad Ali Verdi Khan and other nobles. He travelled partly by boat and partly by land. But on his way he heard the news of Jafar Khan’s death, while the royal sanads conferring upon him the Viceroyalty of Bengal and Orissa also reached him. He named the place where he received this auspicious news Mubarak Manzil. From there he hurried to Murshidabad, and held court in Chehlul Setoon, the hall of public audience made by Jafar Khan. He sat in a right royal manner with his companions and ordered the Dewan to read the royal sanads. He ordered rejoicings to be made, and took presents from the residents of the place. His son, Sarfaraz Khan Alauddaula was then two miles distant from the scene of action. Sarfaraz Khan consulted his men as soon as he heard the sounds of rejoicing and was informed of the facts. Without a dissentient voice all said that inasmuch as his father was in possession of the royal sanads and of the state treasury, the only course open to him was to submit. Sarafaraz Khan then rode, and went to his father and, after offering his congratulations, made a present to him. Shujauddaula seated his son on his lap, and confirmed him in his post of Dewan of the Khalsa Sharifa (Government lands) of Bengal. He moreover bestowed favours on his son, and treated him so affectionately and with so much distinction that both he and his mother forgot the death of Jafar Khan and felt resigned to their lot. It is true that no one loves anybody as much as he does his son. After finishing his domestic business and conciliating the family and relatives of Jafar Khan he busied himself in the management of state affairs and attempted to act independently. In some matters he also consulted Mohammad Ali Verdi Khan and Haji Ahmad Khan. He took the revenue and settlement departments in his hands, and worked with the assistance of Rai Alam Chand, an old, clever, and experienced revenue officer (Dewan). He appointed Jagat Seth Fateh Chand, who was a millionaire and the most famous banker of his time, as a cashier of the state and companion. He made himself the head of the judicial department and personally disposed of civil cases. Once in a week he heard the parties and administered even-handed justice. It was therefore that the public was very grateful to him. He summoned before him many of the Zamindars and Talukdars of Bengal who were all along in prison since the time of Jafar Khan; gave a patient hearing to them, and released them on the security of Jagat Seth Fateh Chand and their taking oaths of allegiance. He not only released them from confinement but also conferred khilat upon them according to their respective positions in society. Such acts of magnanimity and philanthropy made him exceedingly popular. This reign was very peaceful. He appointed his son-in-law Murshid Quli Khan Bahadur Rustam Jang the administrator of Jahangirnagar, Dacca. He appointed Syed Ahmad Khan, son of Haji Ahmad, the Faujdar of Rangpore. Zain-ud-din Ahmad Khan, the youngest son of Haji Ahmad and son-in-law of Mahabat Jang, was appointed the Faujdar of Rajmahal and Nawazish Muhammad Khan, the nephew and eldest son-in-law of Mahabat Jang, the Bakhshi of the army. Mohammad Ali Khan Mahabat Jang, Haji Ahmad, Alam Chand and Jagat Seth Fateh Chand had a hand in all administrative and revenue matters and did their work properly. It was atthis time that Fakhruddaula was transferred by the order of the Emperor from the Subedarship of Behar. Shujauddaula took this opportunity of asking the Emperor for a sanad in his own name appointing him the Subedar of Behar. He then appointed his son Alauddaula Sarfaraz Khan to act as his deputy. But Zebunnissah, the daughter of Jafar Khan an wife of Shujauddaula, was unwilling to separate her son from her and consequently asked her husband to appoint Mohammad Ali Verdi Khan Mahabat Jang to act as the Subedar of Behar as a deputy of her son Sarfaraz Khan. The said Khan was then summoned at the entrance to the female department. Zebunnisah then had an elephant, a palki with an embroidered covering and jewels given to, and a magnificent khilat conferred upon, Ali Verdi Khan by her son Sarafaraz Khan. At her instance Ali Verdi Khan became the recipient of these very things at the hands of Shujauddaula as well. Shujauddaula also gave the Khan the office of Panj Hazari, the title of Mahabat Jang Bahadur and the privilege of keeping the flag (Alam) and the band (Nakkara). Thus it was that Mahabat Jang left for Behar in state. With the permission of Shujauddaula, Mahabat Jang took his two sons-in-law with him, and leaving Murshidabad reached Azimabad (Patna). He successfully administered the province of Behar and after one year returned to Murshidabad. He waited on Shujauddaula, was received by him warmly, and then returned to his province. Mahabat Jang’s short administration of Behar was a great success. He subdued the unruly Zamindars and rewarded those who were loyal and submissive. He filled the posts with able and competent men, and provided himself with all that is necessary for a man in his position. He managed to keep himself in the good books of Shujauddaula, till at last the latter died at the time of the entry of Nadir Shah in Shahjahanabad. © ATB ― Azərbaycan Türkçülər Birliyi. Simple theme. Powered by Blogger.